side by side Bird Roof " just for birds"
side by side - Bird Roof "just for birds"
The roofed fat ball is not only an attraction for birds, it also delights every bird lover. 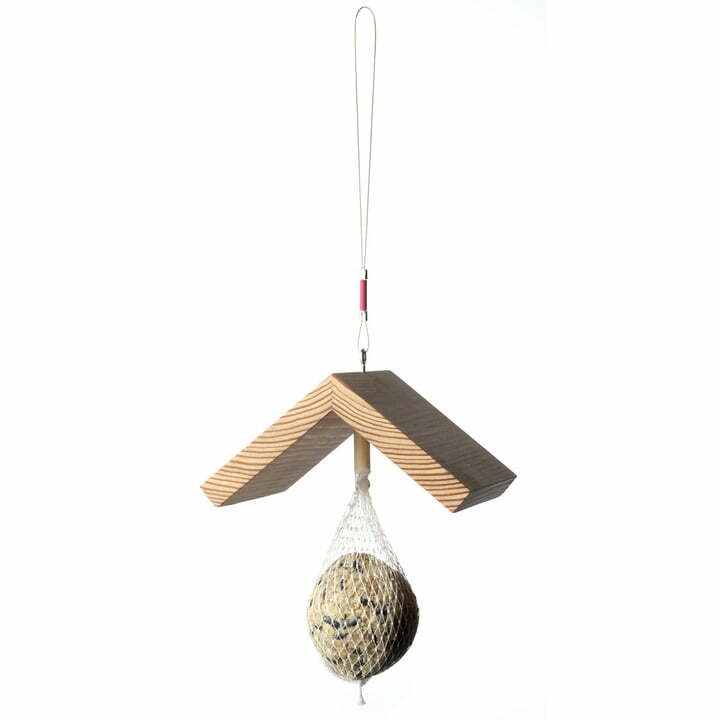 The fat ball should be attached under the roof made of oiled larch wood. Just hang the bird roof in a tree or in a bush, with the aid of a steel cable, equip it with a customary fat ball and observe how the birds flock to your garden! The bird roof "just for birds" was created by the industrial designer and project director of side by side, Sabine Meyer. The Wendelstein Werkstätten Rosenheim/Raubling are responsible for the production. For more than 25 years, the Wendelstein Werkstätten offers workplaces for disabled people in Rosenheim and Raubling. The bird roof "just for birds" was awarded the Design Plus Award.